Astypalaia, called in Italian Stampalia and in Ottoman Turkish İstanbulya, is a Greek island with 1,334 residents (2011 census). It belongs to the Dodecanese, an island group of twelve major islands in the southeastern Aegean Sea. The island is 18 km. long, 13 km. wide at the most, and covers an area of 97 km2. Along with numerous smaller uninhabited offshore islets (the largest of which are Sýrna and Ofidoussa), it forms the Municipality of Astypalaia. Astypalaia is part of the Kalymnos regional unit. The coasts of Astypalaia are rocky with many small pebble-strewn beaches. A small band of land of roughly 10 km (6 mi), almost separates the island in two sections. 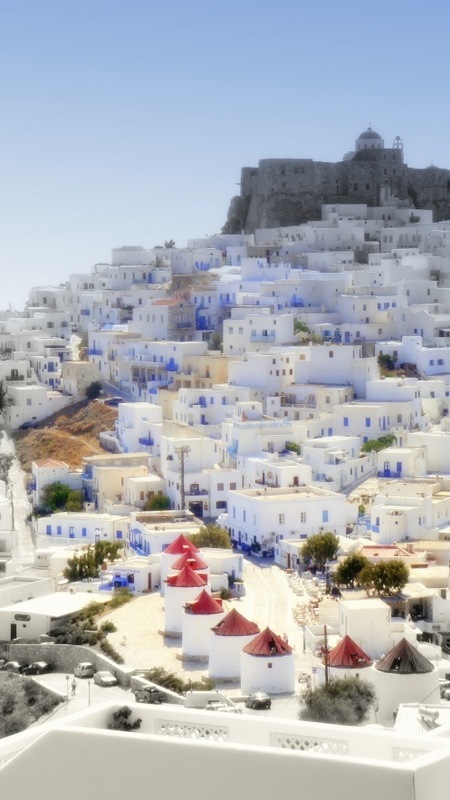 The capital and the previous main harbour of the island is Astypalaia or Chora, as it is called by the locals. A new harbour has been built in Agios Andreas on the mid island from where now the connections are west and east with Piraeus and the other islands of the Dodecanese. Flight connections with Athens from the airport close to Maltezana.